The Mizuno Tanrenjo Hontanren Blue #2 Sujihiki is a wonderful example of the high level of art and science that goes into making these wonderful and traditionally made knives. 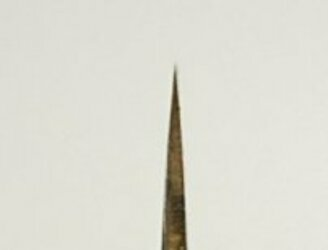 Mr. Mizuno is a 63-year-old master blacksmith who works in Sakai, Japan, where he sells his knives under the Akitada brand name. 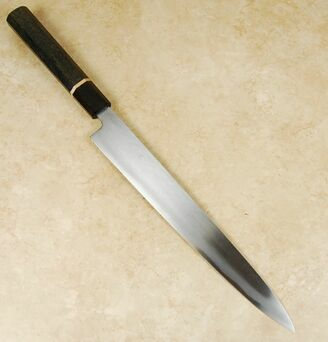 This knife is part of the Hontanren series which is made with blue #2 steel and clad with soft iron. Each knife is ground in-house and sharpened by hand before being sent to us. Mizuno blades are rightfully lauded for their outstanding heat treatments; in this case they harden the Aogami #2 core to 62-63 HRC. It is then clad with a soft iron outer layer in the old way. 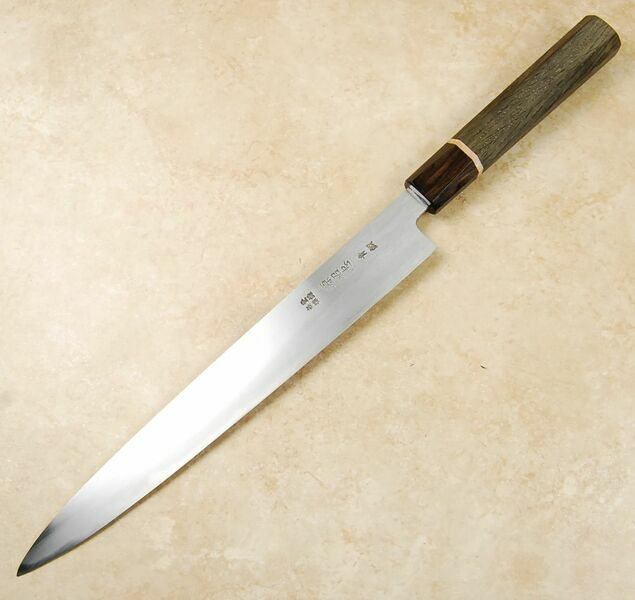 Hontanren basically means hammer-forged, which is the method that is used in producing this blade. As both the core and cladding layers are reactive, users should expect a patina to develop during normal use. This is a perfectly sized slicer for most uses, users, and kitchens: long enough to slice virtually any protein in one movement, yet not overly long that it becomes a hindrance in tight spaces. 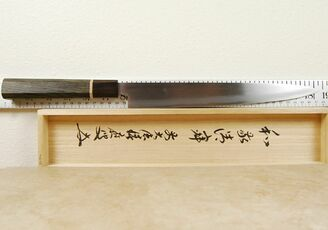 This Mizuno Tanrenjo Hontanren 270mm sujihiki is an exquisite choice for aficionados of handcrafted, high end Japanese cutlery. It's finished off with a beautiful bog oak custom handle that is 4,000 years old.